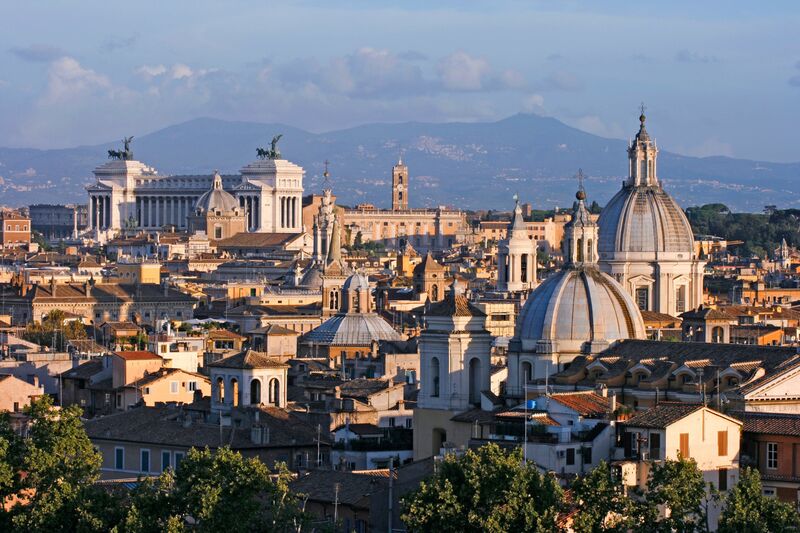 Right up amongst the Seven Hills, Rome is a stunning maze of crumbling ancient ruins, towering Renaissance buildings and winding stone alleyways – all that fuse together to craft glorious views of the city’s skyline, awash with bell towers, cupolas and monuments. Over the years, since the primeval foundations of the original citadel, the Eternal City has grown and outnumbered its actual Seven Hills location – giving us an extraordinary variety of views overlooking diverse parts of the city and its neighbourhoods. 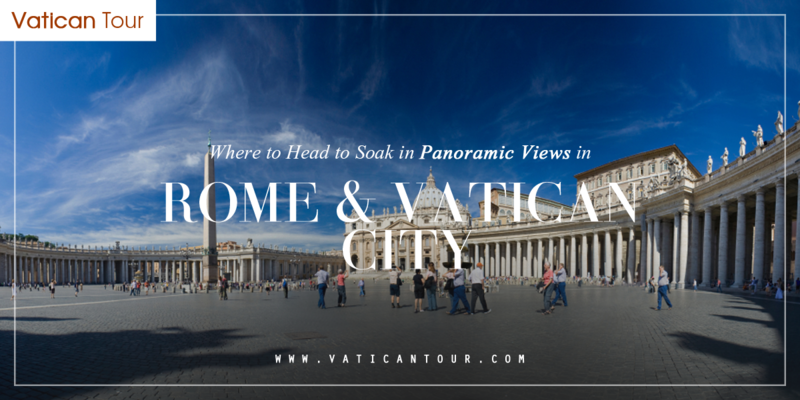 In this blog, we have hand-picked 3 best spots to enjoy the most sweeping views in Rome and the Vatican City. Get ready, put your walking shoes on and begin the most rewarding climb! Want to escape from the chaotic resonance of the city life? The Orange Garden is the place to be! Perched atop Aventino, one of the majestic Seven Hills of Rome, the Giardino degli Aranci (Orange Garden) is the most idyllic park overlooking the serene waters of the Tiber. It is blessed with picturesque vistas of the Eternal City – the result of being constructed on top of an ancient fortress and an even more timeworn castle. 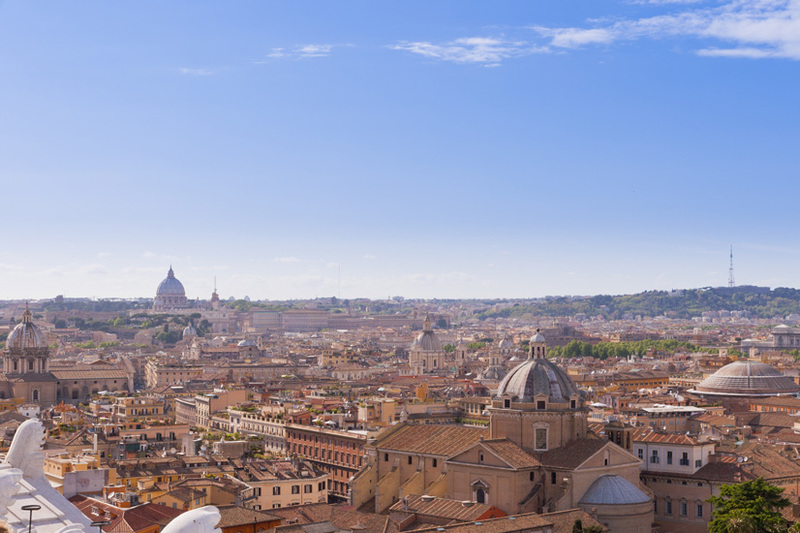 On a bright sunny morning, just climb up to its terrace and gawk straight into the Vatican, as well as the Capitoline Hill, Altare della Patria and lower Trastevere – the view you get to see is straight from your dreams! The park is filled with eponymous orange trees (thus explaining why it was named Orange Garden) and sprawling manicured lawns. It offers many shaded spots under the trees, making it a perfect location for picnics and brunches with the loved ones. Touted as the second highest hill in Rome, Gianicolo Hill offers the most far-reaching and diverse vistas. An expansive section of the historical centre of Rome is just right in front of it while the quaint Trastevere neighbourhood lies below. Beyond simply drooling over the incredible views encompassing the city’s iconic landmarks, including the Pantheon, Castel Sant’Angelo and St. Peter’s Basilica, there’s a lot to explore here! The gorgeous Fontana Dell’acqua Felice, the botanical gardens, Tempietto del Bramante and the Spanish Embassy – all strewn across the hill are worth-visit sites and high on historical significance. Adding to that, the hill houses the intriguing statue of Giuseppe Garibaldi, a celebrated Italian politician and general, as well as 84 busts of iconic Italians, positioned along the boundary. They are the true embodiment of artistic majesty, and an absolute can’t-miss! A quick tip – Visit Gianicolo Hill in the evening and watch one of its dramatic sunsets: the sight when the last rays of sunshine illuminate each of the city’s cupolas and the dome of St. Peter’s Basilica is mesmerizing enough to keep the memory of Rome alive even after years! 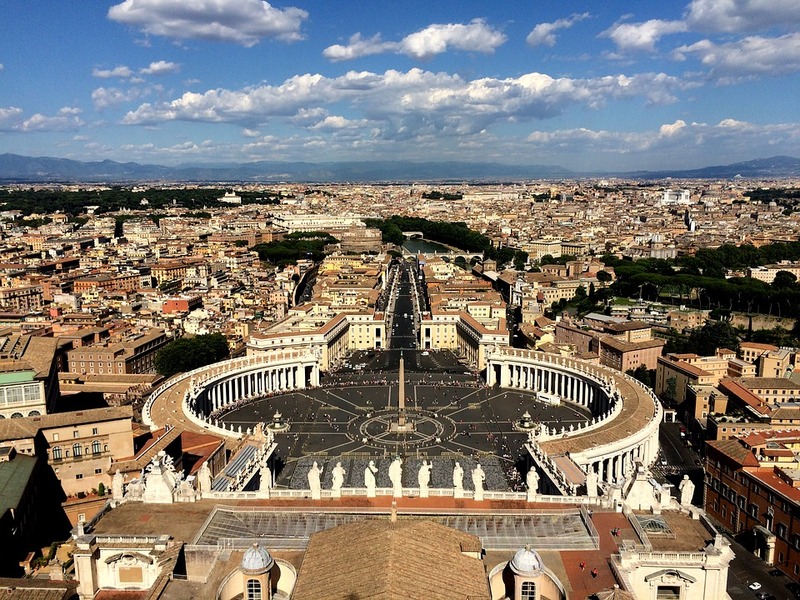 If your itinerary already includes Vatican and Sistine Chapel tours, we recommend taking advantage of that and climbing up to the Dome of St. Peter’s Basilica. You can either take the elevator or climb through a total 551 steps to reach the top of the cupola. The effort is worthwhile. 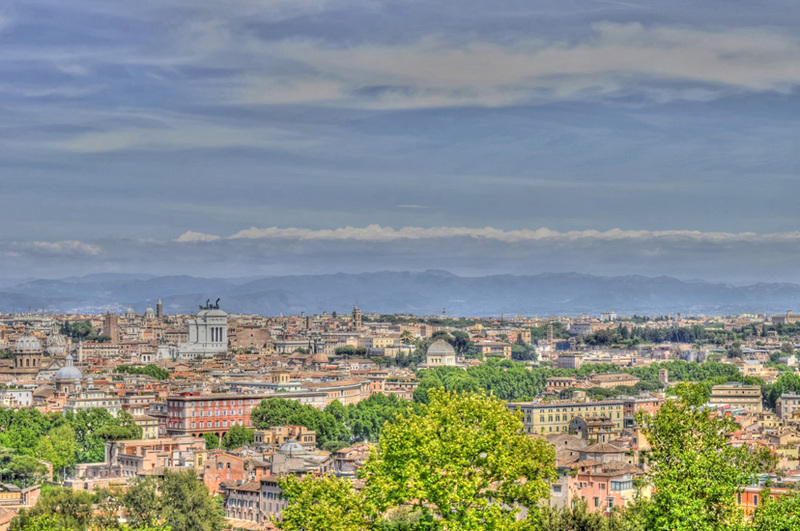 The 360-degree view from there is one of the best panoramic views you get to enjoy in Rome, and of course the highest! The entire north of Rome lies in front of you – including the Spagna, Colonna and Prati districts, as well as the grandiose Piazza San Pietro with its sky-piercing obelisk and Via delle Conciliazione – savour the scenic views of the piazza from above dotted with tiny specks of people, and bask in the erstwhile glory stretching back to 2000 years! Unfortunately, St. Peter’s Basilica, the supreme symbol of the Vatican is plagued by tiring long queues and huge crowds of tourists. Wondering how to beat the crowd and queue? Guess we have the answer! 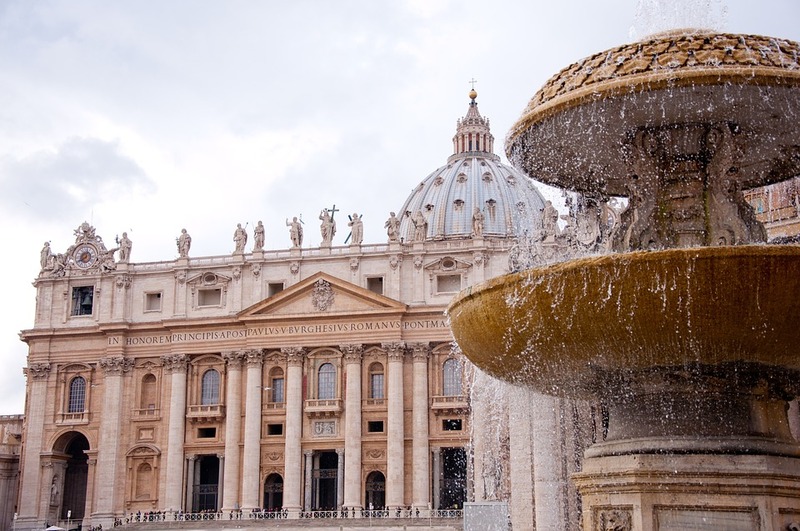 Our best Vatican City tours probably offer the best solution. Equipped with well-versed English speaking expert guides and unique skip-the-line facility, our guided tours of the Vatican help you admire a staggering collection of beauty, art and religious artefacts in the most interesting way.